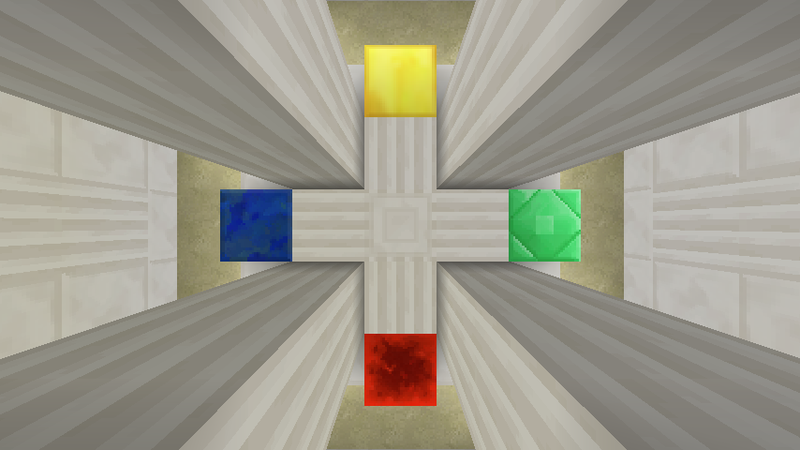 The Perfection Program is a fairly linear map with an interesting and unique story line which consists of easy-medium level parkour, challenging puzzles, killing mobs, and of course, the dreaded maze (which you can skip if you want to). 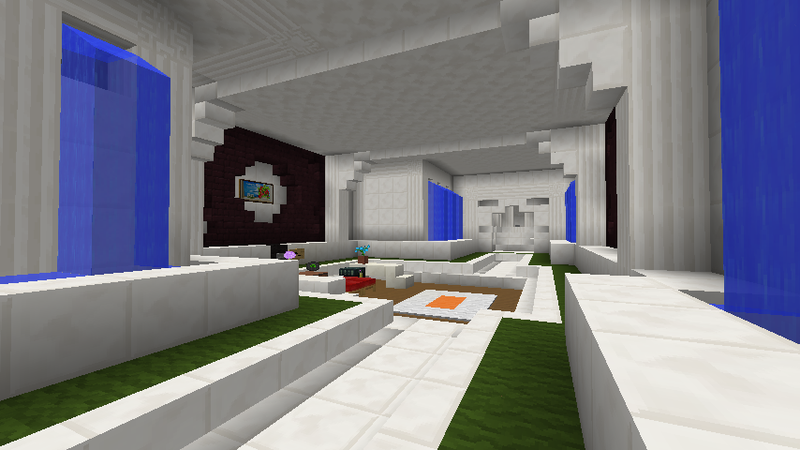 This map is meant for singleplayer, and is meant to be played in 14w21b, and not any version before or after it. Thanks for your understanding. You, the top student at the University of Minecraftia, came across an ad in a newpaper titled, "The Perfection Program". Being a perfectionist, you called the number listed on the ad and signed up. You got instantly teleported to the Perfection Program facility, and thus, beginning your quest for perfection. - You may only place blocks that have been given to you. - Do not change any of the game rules, as they have already been set. 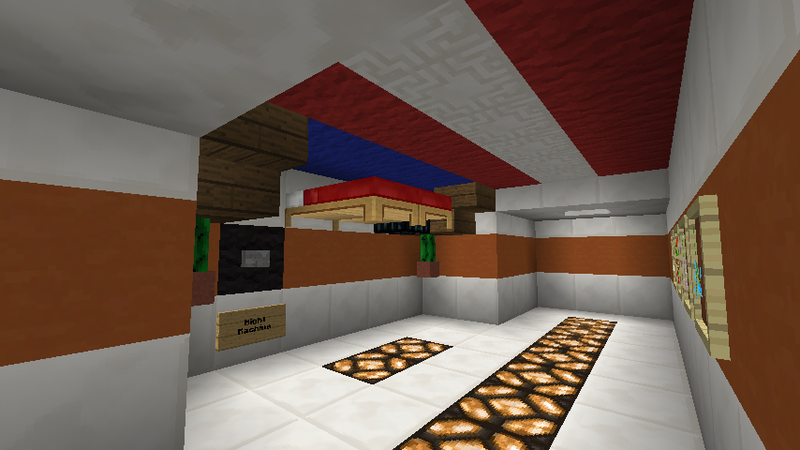 - Play in singleplayer. This map is really buggy in multiplayer, so I really don't recommend playing this on multiplayer. - Set your difficulty to peaceful, though this will be changed multiple times during the map. - Lastly, have fun. You better. If anyone does a playthrough of this, don't forget to post the link on this thread! I'll be sure to feature it! -Loved the idea of the map, the whole "Perfection" project thing was a very creative idea! -You have a very creative sense of humor Really enjoyed the "Love" scence. -The parkour was challenging yet not too hard, just right. Same goes with the mob fighting. -Command Blocks show the text a bit too quickly... it's hard to keep up with. -A lot of the signs say "null" where it should be blank instead, not sure if that's intended or not? So that's it, keep up the good work! I really enjoyed your map! The words in (brackets) and that are in italic represents the why the answers/solutions are what they are. The wools on the wall all make up a pattern. Name the paper the colour of the wool that's suppose to be in the anvil's place. 1st Part: Simply push the minecarts onto the pressure plates. 2nd Part: Start from the side with the sign, and place the following blocks respectively: Yellow, red, blue, lime wool. Flick the levers on the following coloured wool blocks: Lime green, green, blue, light blue, magenta, yellow, orange, red and purple. Go back to the room you dropped down into, and go to the right back of the room. You'll get teleported, and it's pretty straight forward from there. (The phrase, "There is a light in the middle of the night" suggest that the answer lies in the middle of a dark place. The torch you get from flipping the lever is named, "The Key of the Light", suggesting that it is used to unlock the light, which can be found in the middle of the darkest place (The 3x3x3 black wool room). No hints for this one. 2. 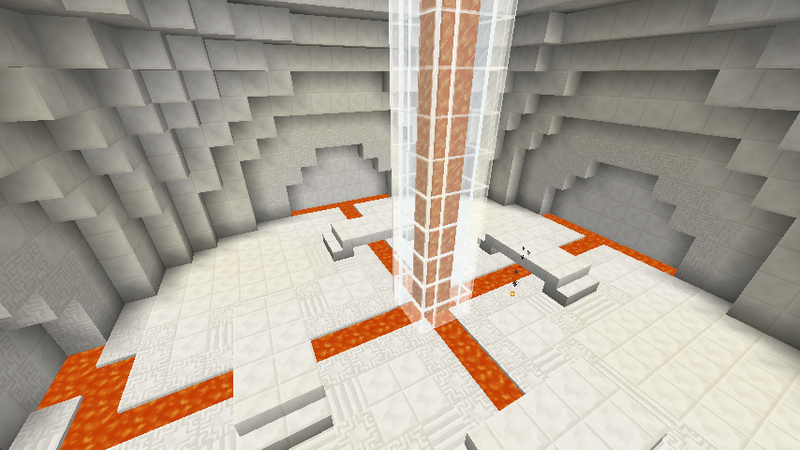 After getting the torch from the lever room, place it on the diamond block in one of the ice rooms to melt the ice. 3. Press the button and a passage way will open in the other ice room, but now you can reach it in time because you melted the ice that was previously blocked your way. 4. After getting the flint from the button in the passage way, go to the stained clay room and complete the parkour to get steel. 5. 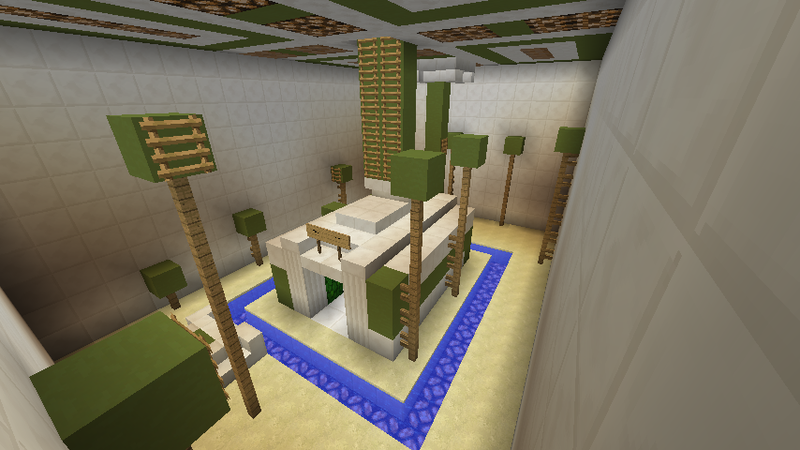 Make flint and steel to burn down the wool in the sandstone room and hit the button hidden on the ceiling to get a flower pot. 6. 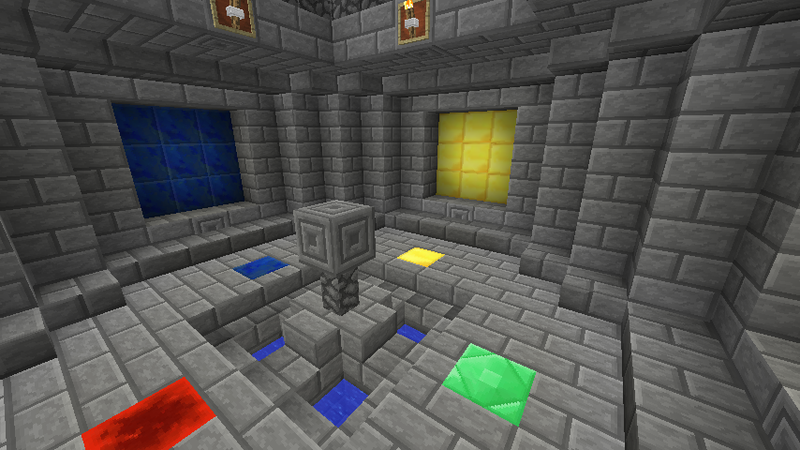 Place the flower pot on the floor in the wooden room to make the jump, and hit the button to make the iron blocks in the quartz room disappear. 7. 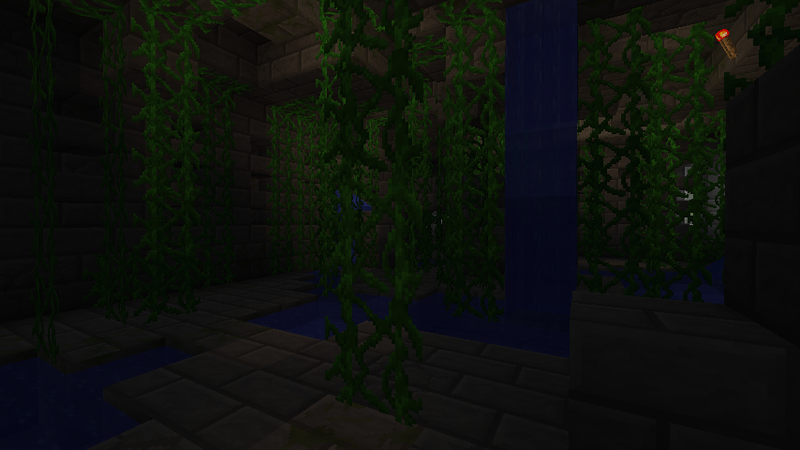 Go into the stone room and kill the right number of mobs, and you will receive some sticks. 8. Find the crafting table hidden in the water in one of the ice rooms and make a ladder. 9. Place the ladder on the gold block in the quarts room to allow you to climb up the wall, and you're done! 1st part: Right click the piston bottoms with the torches to place them, thus activating the bud switch. Fill the bucket with water and right click it on the last piston, to activate the last BUD switch. Emerald: Once you get the hoe from the gold room, hoe the dirt. This will create a small gap, which contains a chest. 1. When you enter the restone part, turn left and go to the small "hut". 2. 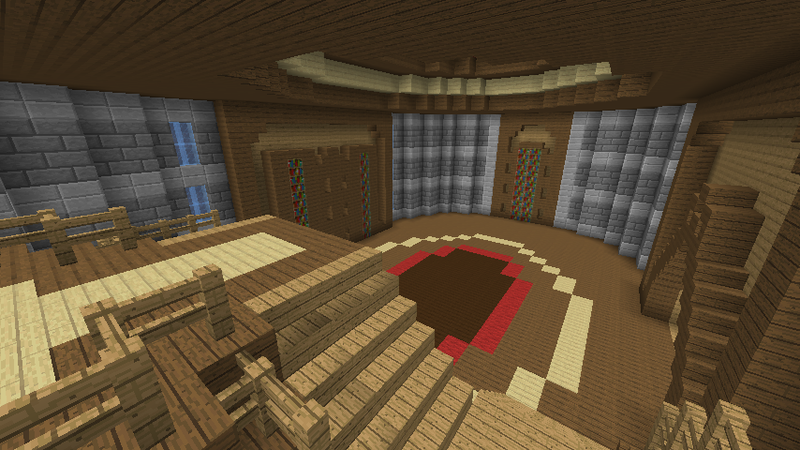 When you get teleported, go to the structure in the middle, and flip the lever on the ceiling. 3. Once you get teleported, flip the lever on the floor, and 2 invisible blocks blocking your way to the right of the entrance will disappear. 4.Go to the right and go up the stairs. 5. Once you're teleported, go to the flipped version of the entrance and press the button. Gold: Really simple. Memorize the gold path, and walk where the gold is in the next room with the pressure plates. * - represents a button you do not need to push. numbers (1, 2, 3, and so on) - represents the order in which you have to press. 2. Place buttons on all the other sides. 3. Push the button on the side that's facing the gold blocks. 4. Watch the magic happen. 5. Go down the water and press the button. That's all the puzzles. There isn't a need to make a guide for the mob battles and parkour, because it's really up to a player's skill. Disclaimer: Neither me nor OrangeLouis owns any of the music used in the pack. 1. Get WinRAR to open the .rar file. 2. 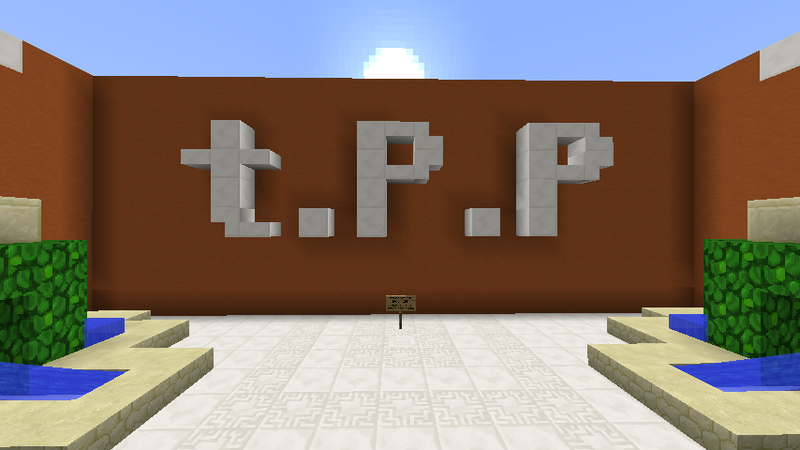 Once opened, drag the world file inside of it title, "TPP by Magnear" into your saves folder which can be found by typing %appdata% in your search bar and double clicking on the ".minecraft" folder. - (This shouldn't really be a bug if you play on the intended version, 14w21b) In 14w25a, the redstone acts slow for some odd reason. You can use this banner if you wanna support the map! It's totally up to you. Lastly, thank you for taking the time to read this. Hope you enjoy my first map as much as i enjoyed making it! If you have any questions about the map, any bugs you wanna mention, or have some feedback, you can leave them below and i'll try to get back to you! OWNER - , Original author(s) of the MAP. Under the copyright terms accepted when purchasing Minecraft (http://www.minecraft.net/terms) the OWNER has full rights over their MAP despite use of MOJANG code. Oh, so you made a map. Thanks for being the only one who posted something on my map. I appreciate and the feedback. I'll try your map out when i have the time!!! Looks amazing from what i see from the screenshots!!! TEST MADMAN REVAMPED. MINECRAFT PUZZLE/PARKOUR MAP! OUT NOW FOR 1.7! I'll try your map out when i have the time!!! Looks amazing from what i see from the screenshots!!! Thanks, I'm glad you think it looks appealing. I hope you enjoy! Excellent work. With a great presentation, it shall come with a great map. Thanks! I hope you enjoy the map. Edit: Oooh, I just realised the download link was wrong >_< Sorry everyone. Interesting. I like the design style of the rooms. Glad you liked it, and i hope you enjoy the map! Map looks cool. Gonna play this map! EDIT: Where is the resource pack? Oops, thought i took that out of the rules... Sorry, there isn't one. 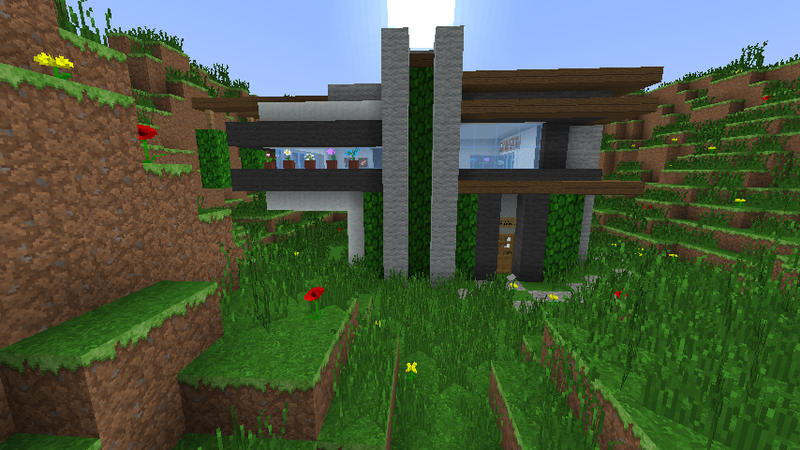 I had initially thought of using a resource pack, but half way through the building process, i scratched the idea. Thanks for notifying me about this, i'll get this fixed right away. Anyways, i hope you enjoy the map! Really glad you're enjoying the map! It's nice to see hard work pay off. Ok i've played the map. I really enjoyed it! The only thing is.... there were quite a few bugs. The puzzle where the rooms were flipped and you had to ut the lever on the black wool, you should give the lever a tag saying that it can be placed on wool because in adventure mode, the player can't place anything. Same goes for the items in the stage 2 stages after the maze. (the stage with i think 12 rooms. 3 on each side.) Other than that, i really liked the design of the rooms and it was an awesome map in general! Thanks! Happy to hear that you enjoyed it! And about the bugs, it's funny you mention them because I just fixed them before reading your post, as well as some other ones. Putting the new download link up right now. Anyways, thanks for the feedback! I appreciate it! Added a review section and a partially complete walkthrough section. Enjoy! This one caught my eye. Unique story, and from what i can see from the screenshots, it's nicely designed. I'll give this one a go later. Sounds fun! I'll check it out. Glad you like the visuals, and i hope you enjoy! I've completed the map, and I must say, it's really enjoyable! I also enjoyed the comedy, like the one in the "love room". The parkour was nice, i find it was at the "right" level - not to hard to to easy, and the puzzles were somewhat unique. The one's that stood out were the 2nd puzzle and the one where you had to get the button combination from looking at which tiles to move in order to match the example. The only part I found frustrating was the mob battle in the 2nd last "challenge". That was just... Hard. 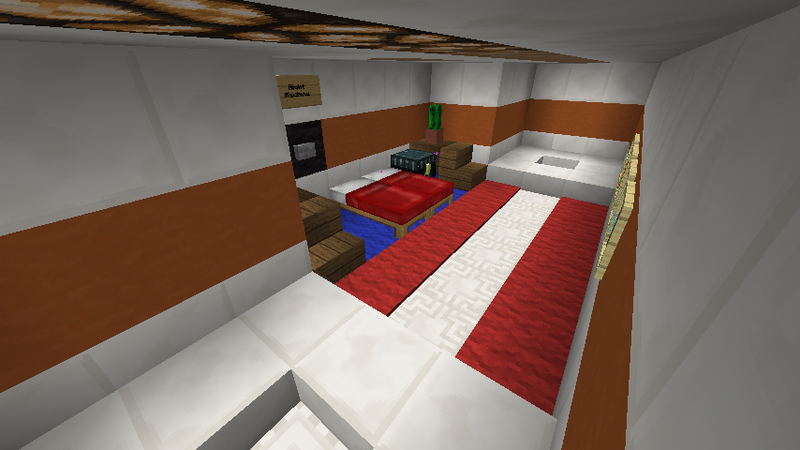 - The wool doesn't burn in the part with lots of rooms. Probably because doFireTick is on false. - You can totally bypass the wither battle by killing one of the remaining mobs, probably because the scoreboard command is only testing for a minimum of 1. It's nice to see someone enjoyed my map, and thanks for informing me about the bugs. I'll fix them when i have the time! 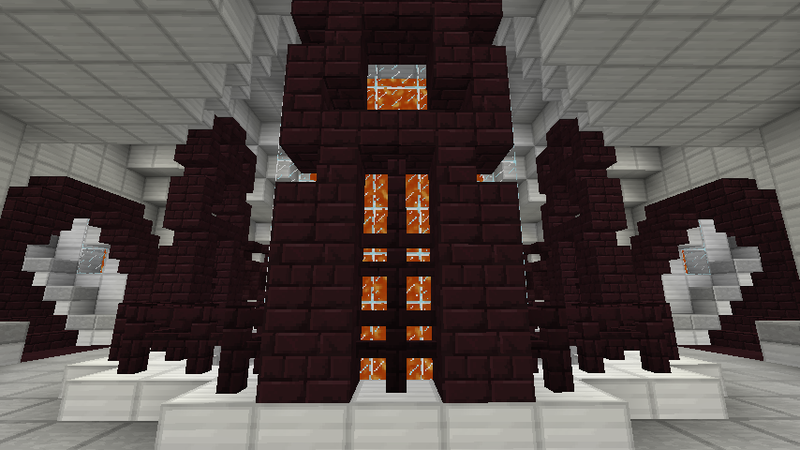 And i may just scrap the Wither battle, i find it pretty pointless. it has the feel of a professional, good job!